PEOPLE has the exclusive first look at the cast photo of NBC's Hairspray Live! Catch Kristin performing as Velma von Tussle on Wednesday, December 7th at 8/7c. 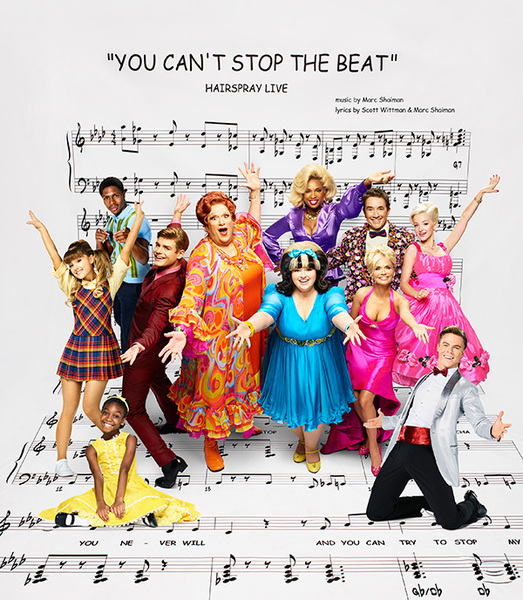 Kristin joins the cast alongside Maddie Baillio as Tracy Turnblad (clockwise from left), Shahadi Wright Joseph as Little Inez, Ariana Grande as Penny Pingleton, Ephraim Sykes as Seaweed Stubbs, Garrett Clayton as Link Larkin, Harvey Fierstein as Edna Turnblad, Jennifer Hudson as Motormouth Maybelle, Martin Short as Wilbur Turnblad, Dove Cameron as Amber von Tussle, Derek Hough as Corny Collins and guest stars Sean Hayes, Andrea Martin, Rosie O'Donnell and Billy Eichner.